Chelsea is a native Texan who loves everything fitness and nutrition. After attending St. Edward's University, she moved to Southern California with her husband and began working in the industry as a nutritionist. 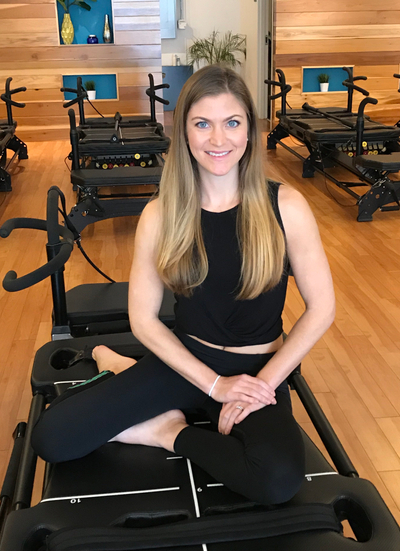 Always on the search to up her workout game, Chelsea found the Lagree Method while living in Orange County and was hooked after her first class. "The Lagree Method sculpts my body in a way no other workout ever has, when I would go to the gym or weights based classes, I felt I didn't get the long, lean, toned look I was hoping for. The Lagree Method has changed not only my body, it's helped me form a healthier sense of self. During class, I'm able to let go of everything I have going on and focus on my mind-body connection, I feel amazing after this workout and I'm so grateful I get to share that with other people." When Chelsea isn't in the studio, she's hanging out around Town Lake with her husband or at home with her kitty, Butterfly. She loves cooking, being with her friends and family, drinking good wine and eating lots of chocolate. You're sure to get your sweat on in her classes and she's always ready and willing to give healthy eating tips and tricks!